Some days, I 'll do anything to tempt the kids to eat healthy food. 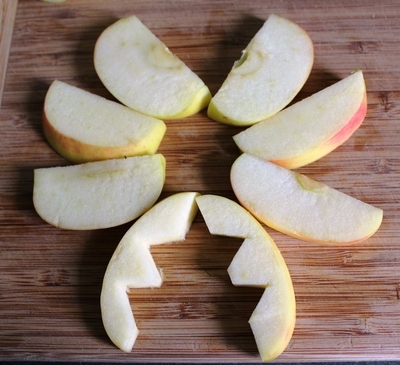 Here is a cute and very easy way to get them eating apples by the box load. 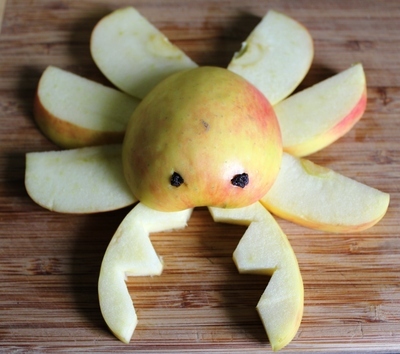 This cheeky crab is fun for older children to make too. It's all in the presentation isn't it? 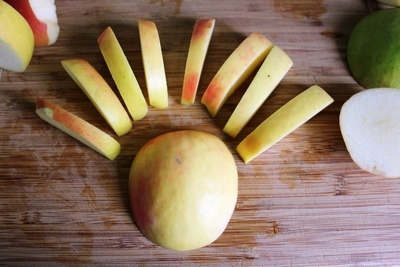 Take one fresh, juicy apple and slice it into thirds - just make two straight cuts through each side, leaving the core. 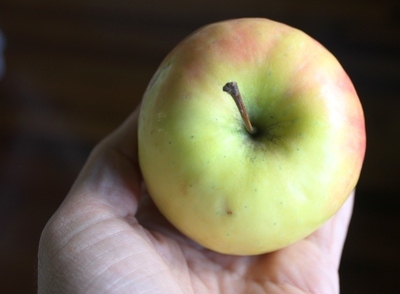 You should have two perfect circles to work with. Slice the left circular slice into half moons. Take two of the half moons and cut two small triangles into each one on the skin free side, to make nice sharp "crab claws". Arrange the half moons into "legs" and the two "claws" at the front. 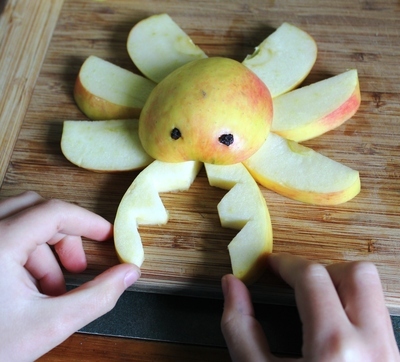 Cut tiny holes in the remaining circular slice for the "crab eyes" to fit. Fill the eye holes with currants or sultanas or maybe choc chips if you're really wanting to tempt them. Place the "shell" on top of the "legs" and "claws". Present to the awaiting hungry hoardes and enjoy.